In an attempt to comically combine the two days’ drawings, I opted to take the prompt “What Lies in the Mist” literally. Therefore, the hook that Archie and Veronica found dangling from their car door yesterday, we see today belonged to an unfortunate trick or treater dressed up as a pirate and for some reason walking along the deserted rural highway. “What Lies in the Mist” inks. Click to Enlarge. I was apprehensive about joking around about a kid getting killed while trick or treating, but other than the equally-potentially-offensive idea of having the hook turn out to be yanked from an amputee by the road with a sign asking for help to buy a new prosthesis, it was the only way I could think to have a surprise ending that was not the expected one of the hook hand killer. Just to assure anyone who is upset by it, the kid is okay! He was just stunned and was taken to be checked out and was back home eating his slightly run over Halloween candy that night! So many urban legends to pick from, but I chose the notorious campfire story about the bookman and the couple on Lover’s Lane. 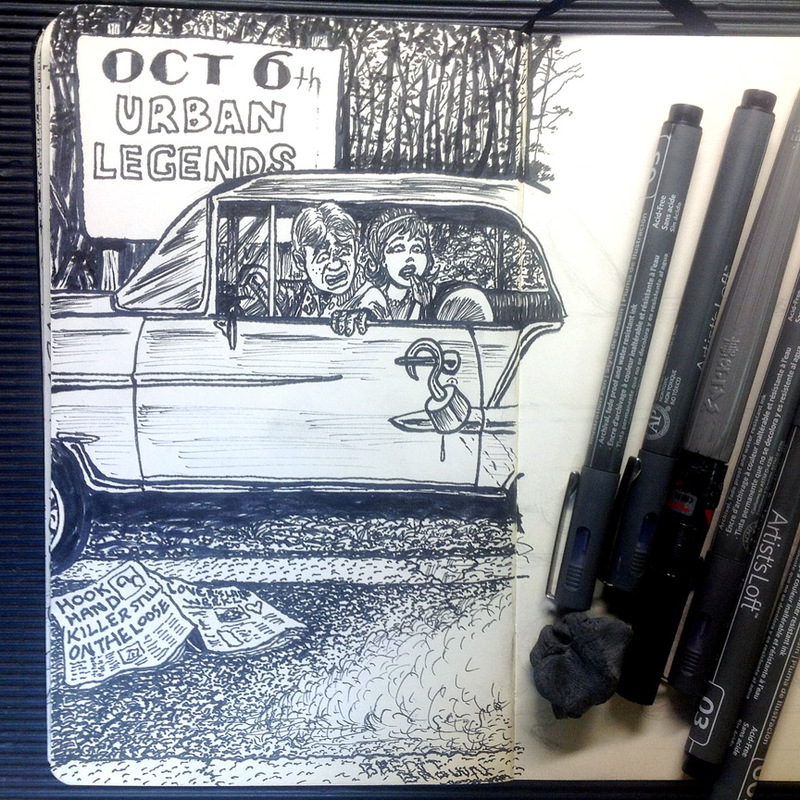 The whole story seems kind of 50s to me, so I put a classic 50s car in the drawing and populated it with a couple that seems to resemble 50s comics characters Archie Andrews and Veronica Lodge. It seems they have narrowly escaped the hook-hand killer, but have they? Stay tuned for tomorrow’s thrilling conclusion! 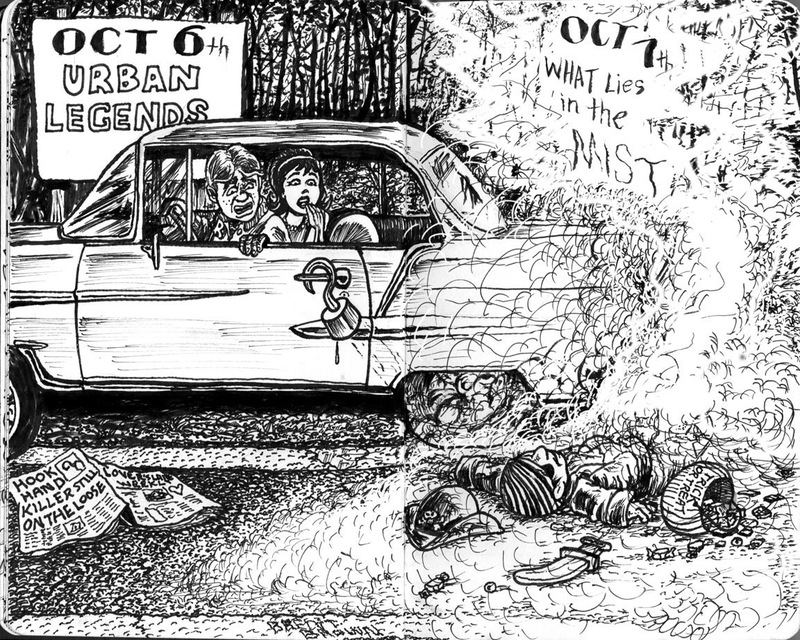 “Urban Legends” inks. Click to Enlarge.